Pushing the price of the Colorado past $20,000 is easy but not recommended. 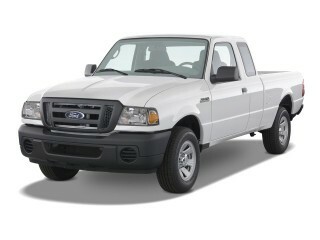 Work trucks and models without the options are the best value. 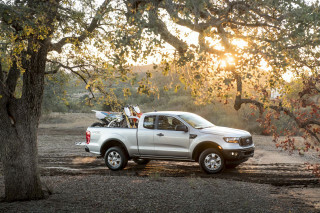 Because full-size pickups are only moderately more expensive, there's not much competition in this category other than the Ford Ranger. The new available V-8 engine is a long time coming and helps position the Colorado as a worthy rival to the most capable compacts and an alternative to full-size trucks. 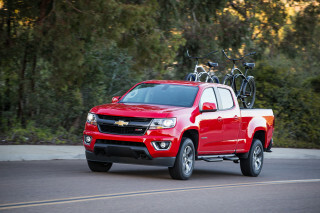 TheCarConnection.com's reviewers have driven the new V-8 Chevrolet Colorado, along with more basic inline-4 and inline-5 versions, in order to provide an expert opinion. And to help you make the most of the most reputable review sources on the Web, TheCarConnection.com has brought the most useful information together here. For the first time ever, Chevrolet has seen fit to put a V-8 engine in a compact truck. 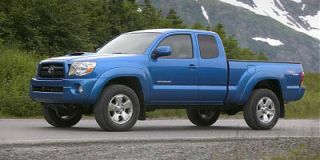 Although offered in only the Extended and Crew Cab models, the 2009 Colorado (along with its nearly identical sibling, the GMC Canyon) is now available with a 5.3-liter V-8 engine producing 300 horsepower and 320 pound-feet of torque—bringing a maximum towing capacity of 6,000 pounds and sub-seven-second 0-60 acceleration. The new engine is mated to Chevrolet's smooth, reliable four-speed automatic transmission. The Colorado's other two engines, the 185-horsepower, 2.9-liter inline four-cylinder and 242-hp, 3.7-liter inline-five, are still part of the model lineup, and thanks to a revised fuel control module, the four-cylinder features improved fuel economy of up to 25 mpg. All 2009 Colorado models receive StabiliTrak electronic stability control, as well as a new braking system that features better braking feel and improved stopping power. A new ZQ8 sport suspension package for 2009 Extended and Crew Cab models features revised suspension tuning that's 30 percent stiffer and a ride height that's one inch lower. Eighteen-inch, split six-spoke aluminum wheels and low-profile performance tires are a new part of the package that pairs with the V-8. Whether you ask reviewers of a range of publications or the editors of TheCarConnection.com, you're likely to hear that the base four-cylinder and optional five are quite unimpressive; as a step-up engine, the five-cylinder is especially rough and noisy, and doesn't deliver the smooth real-world torque of rival V-6 engines, despite having similar output numbers. The new V-8 engine gives the Colorado a completely different character, and TheCarConnection.com recommends it for those who need more towing ability. With the V-8, the Colorado is quite enjoyable to drive, though across the line, the steering is vague and requires frequent corrections. Inside, ZQ8-equipped models feature unique seats unavailable in other Colorado models, but the interior for all Colorados remains unimpressive, with lots of cheap-feeling hard plastic. Standard equipment is quite good, though, including cruise control, air conditioning, folding exterior mirrors, and tilt steering. Traction control, fog lamps, sliding rear window, satellite radio, sunroof, leather seats, and six-disc CD changer are available options. Chevrolet offers OnStar on the Colorado, but without navigation—which would enhance the desirability of work trucks. The 2009 Colorado is available as a short-wheelbase model with a regular cab or a long-wheelbase model with your choice of extended or crew cab, the latter of which can seat six passengers in a pinch. All configurations can be had with rear- or all-wheel drive. The Colorado's longer 6-foot bed is still too small for a 4x8 sheet of plywood, and the shorter bed isn't that much smaller at 5'1". While four-door models can seat six, the rearseat back rests stand uncomfortably upright, and realistically can only seat two adults comfortably. The four-door Chevrolet Colorado receives a mix of crash-test scores, with straight four-star ratings from the federal government (except for some higher five-star ratings on the Crew Cab), with lackluster side and rear test scores from the IIHS. The addition of StabiliTrack electronic stability control, as well as an improved braking system, should increase the Colorado's accident avoidance abilities. The 2009 Chevrolet Colorado's spartan interior detracts from its pleasing, chunky exterior styling. Aside from some exterior trim revisions, the exterior styling of the 2009 Colorado remains unchanged. But in all of the Colorado's varied cab, box, and driveline configurations, there's a plethora of styling choices. Edmunds says ruggedness, capability, and power are promised by the 2009 Chevrolet Colorado's angular and aggressive sheetmetal, while Cars.com additionally describes the truck as athletic and aerodynamic. Automedia likes the Colorado's sporting stance, saying it resembles a miniaturized Silverado. Kelley Blue Book declared the base Colorado is a great alternative for recreational truck users, noting its alloy wheels and pronounced fender flares bring some visual excitement to its tall slab sides. On the inside, the 2009 Chevrolet Colorado draws both praise and condemnation. The Colorado's recently upgraded interior makes it a more welcoming truck than in prior years, explains Edmunds, but provides examples of cost-cutting throughout the cabin, namely hard plastics and questionable build quality. Car and Driver goes for the jugular, describing the Colorado's cabin as "rental-car interior décor." On the other hand, Automedia and Kelley Blue Book praise the interior for its space, level of appointment, and high degree of functionality, even if it does feature a sea of gray plastic throughout. ConsumerGuide digs a little deeper, noting climate and audio controls are simple to use and clearly marked before remarking on the Colorado's easy-to-read gauges. However, it also warns digital readouts can be washed out by direct sunlight. The 2009 Chevrolet Colorado's new V-8 engine and retuned suspension are welcome upgrades but may not be enough to move the Colorado in front of its competition. 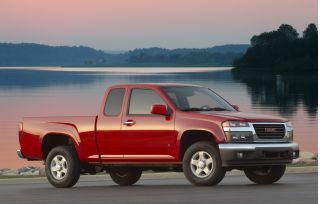 With the addition of the new 5.3-liter V-8, the Chevrolet Colorado offers a selection of three engines for 2009. The new 300-horsepower V-8 boasts features such as polymer-coated pistons, roller-tipped rocker arms, full-floating wrist pins, and six-bolt main bearings. The sub-seven-second 0-60 mph engine is, in fact, the same Vortec V-8 found inside the Hummer H3 Alpha. The two continuing engines are the 2.9-liter inline four-cylinder and 3.7-liter inline-five. According to most reviewers, the new engine is worth getting not just for its power but for its smoothness, although from a purely fiscal standpoint the V-8 doesn't add much towing capability. "The new V-8 is a good remedy for the thrashy 242-horse, 3.7-liter inline five-cylinder engine currently found in lesser Colorados," says Car and Driver, further noting that the engine "can tug a maximum of 6000 pounds, just 500 more than the 242-hp five-cylinder—and the I-5 gets a coupla more miles per gallon." Automobile Magazine puts the V-8 to good use and finds reason to like the new engine: "Hitched to a 5150-pound boat and trailer, the mighty V-8 hustled this pickup to 60 mph in 15.9 seconds and averaged a decent 11 mpg during suburban cruising." In regard to the other engines, ConsumerGuide finds only adequate power in city driving and that they lack urgency for passing and hauling heavier loads. Truck Trend disagrees, finding both engines at higher revs offer the necessary power reserve for highway merging manoeuvers and overtaking. Edmunds splits the difference, saying buyers will appreciate the Colorado's balance between outright performance and fuel efficiency. Automobile Magazine gives the thumbs-up to the Colorado's retuned ZQ8 suspension, saying, "Thanks to fine-tuning by GM's Performance Division personnel, the ZQ8 package is well suited to anyone whose preferences lean in the car direction. Quicker steering, a one-inch lower ride height, stiffer spring and antiroll-bar rates, and Goodyear Eagle RS-A tires—size 235/50WR-18—on eight-inch-wide aluminum wheels do an excellent job obliterating this truck's sordid past." Car and Driver isn't quite as endearing about the new suspension, griping, "The suspension is definitely stiff, with a sort of 'classic' (read, 'old-feeling') ride quality, bouncing you and your cargo around over every imperfection in the road. The quicker steering is nicely tightened up over that of the loosey-goosey normal Colorado, but it still lacks feel." Edmunds applauds the 2009 Chevrolet Colorado for "affordable, composed handling on- and off-road," and says the "standard suspension is softly tuned for a comfortable ride." 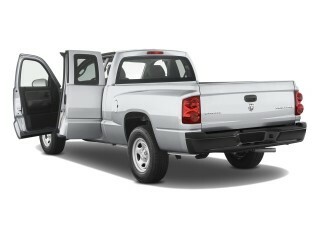 The bargain-basement interior and limited load capacity hinder the competitiveness of the 2009 Chevrolet Colorado. The use of cheap plastic and inferior switchgear on the interior of the 2009 Chevrolet Colorado cripples the truck's overall rating. "In its latest comparison test appearance," says Car and Driver, "the Colorado finished last out of five trucks and was flayed for its rental-car interior, unrefined engine, and upright rear backrest." Edmunds is also unimpressed with the Colorado, grousing, "seating comfort and cabin materials still leave much to be desired." Hard plastics and sub-par seat comfort left Edmunds with the impression the Colorado is "cheap." "Unfortunately, the front bucket upgrade (a 60/40 split bench is standard) brings seats that feel convex instead of concave," says Automobile Magazine, adding, "Driving stints longer than two hours will have you speed-dialing your chiropractor for relief." ConsumerGuide is generally happy with the front part of the Chevrolet Colorado cab's interior, pointing out "lots of legroom and headroom" and seats that are "adequately comfortable for long drives." Kelley Blue Book concurs, declaring the "seats offer firm bottoms and good lumbar support" and that "the cloth fabric is both durable and comfortable." Many reviewers fault the Colorado's rear seats for being hard, undersized, and uncomfortably upright.Rear legroom is lacking for adults, attests ConsumerGuide, and space for cargo is limited though somewhat addressed by the larger extended and crew cab models. Ingress and egress is an additional challenge through the small rear doors. TheCarConnection.com finds adequate space in the Crew Cab's backseats for two adults, although cushions are a bit flat. Build quality is well received despite the below-par materials. 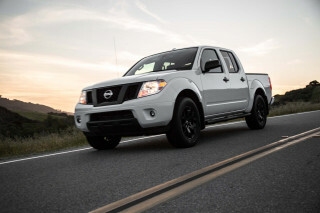 Kelley Blue Book reports the Colorado was free of rattles and squeaks over washboard roads. Edmunds found the Colorado relatively quiet in city driving, only sensing noticeable wind noise at highway speeds. Cargo-bed-carrying capacity is limited, as the six-foot bed won't hold a 4x8 sheet of plywood, and the four-door Colorados have it even worse with only a 5-foot, 1-inch bed. With electronic stability control and improved braking now standard, the 2009 Chevrolet Colorado likely has reduced chances of getting in an accident, though it's still not at the head of the pack in protection. Upgraded brakes and the addition of StabiliTrack electronic stability control should help the 2009 Chevrolet Colorado improve a bit on its middle-of-the-pack safety. The four-door Chevrolet Colorado gets five-star frontal crash scores from the National Highway Traffic Safety Administration (NHTSA), along with four-star ratings in side impacts and nearly all other distinctions. The Insurance Institute for Highway Safety (IIHS) ranks the Colorado as "good" for all front impacts but "marginal" in its seat-based rear-impact test and "poor" in its side-impact test—that's for models without the optional side-curtain bags. 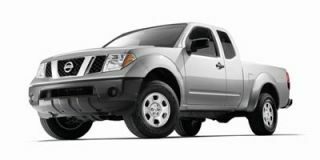 TheCarConnection.com's editors note that thorax-protecting side airbags remain unavailable on the Colorado. The reviewers at Edmunds welcome the inclusion of "OnStar emergency communications," now standard on all 2009 Chevrolet Colorado models. 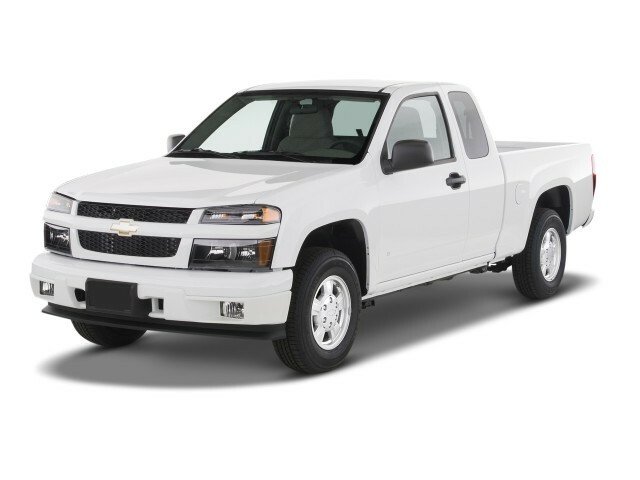 As a work truck, the 2009 Chevrolet Colorado offers everything necessary, but as anything more, it lacks the standard features and options of its competitors. In terms of standard features, the 2009 Chevrolet Colorado offers what you'd expect from a compact truck, though options don't include what you might desire when upgrading into something more than a base model vehicle. Some truck-specific options not available on the 2009 Chevrolet Colorado, including "no protective coating or tie-down rails in the bed," give Car and Driver pause. Cars.com notes the Colorado's optional "heated leather seating and XM Satellite Radio," as well as the optional "locking differential." Edmunds reviewers like the Chevrolet Colorado's "grille guards, bed extender and 18-inch wheels [that] are also available." While most options are bundled or offered as stand-alone items, including bucket seats, power windows/locks/mirrors, remote keyless entry, and a self-dimming rearview mirror, Bluetooth and navigation are two options conspicuously missing from the list. Though Edmunds calls the base Colorado "pretty spartan aside from air-conditioning and an AM/FM stereo," it also includes features like tilt steering, cruise control, and two 12-volt power outlets. Moving up to the LT adds reclining seats, more stereo speakers, and aluminum wheels, which Edmunds says "is a better choice for most folks."